2 bedroom 92 sq.m for rent. only one unit in this project available at this size. ให้เช่าคอนโดหรู ขนาด 2ห้องนอน 53 ตร.ม. ที่ Park24 ในซอยสุขุมวิท24 วิว Emporium . 2bedrooms for rent at Park24. 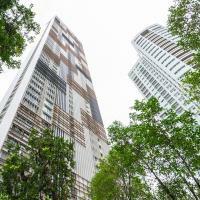 [Fully Furnished][High Floor][Near BTS Phrom Phong].